A rare disease is defined as a condition that affects less than 1 in 2,000 people. However, when combined, the nearly 7,000 identified rare diseases affect tens of millions of people worldwide, including 1 in 12 Canadians. “We all likely know someone who suffers from a rare disease,” says Jessie Kulaga-Yoskovitz, a second-year McGill medical student and the President and Founder of the McGill MSS Rare Disease Interest Group (rareDIG), one of the first student groups focused on this topic in Canada. Because each rare disease affects, in addition to the burden of their disease, patients must also deal with inequities in care ranging from the cost of medication to a lack of access to medical professionals familiar with their condition. Kulaga-Yoskovitz founded rareDIG with the aim of encouraging medical students to adopt attitudes that will benefit patients with rare diseases right from the outset of their careers as well as to raise awareness of rare diseases in general. 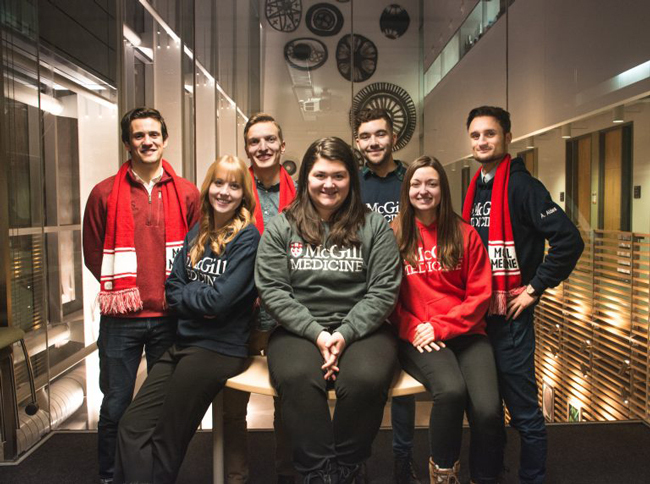 Along with Kulaga-Yoskovitz, the rareDIG committee is composed of seven other McGill medical students brought together by a common desire to improve quality and access to care for patients with rare diseases. Two of the committee members have rare diseases themselves. “Improved awareness of the challenges patients with rare diseases face will encourage health care providers to target their efforts in their advocacy of their patients and encourage the creation of public policy which will reduce inequities in care,” explains Kulaga-Yoskovitz. The students also hope to inspire medical students at other universities to start rare disease groups of their own. On Feb. 28, people in more than 80 countries will take part in activities designed to raise awareness of rare diseases. Inspired by TED talks, McGill rareDIG has put together an event open to the public that will feature idea-focused and passionate talks presented in a way that makes them accessible to the average person. Speakers lined-up for the inaugural event are Natalie Cinman, a patient-advocate with osteogenesis imperfecta; Joseph Galli, the founder of Loeys-Dietz Canada; Dr. Eric Shoubridge, Chair of the Department of Human Genetics at McGill and a researcher at the Neuro; and Adrian Thorogood, a lawyer at the Center for Genomics and Policy. RareDIG’s inaugural Rare Disease Day will be held in the Martin Amphitheater of McIntyre Medical Building at McGill University on Feb. 28. A reception will begin at 6 p.m. and the talks will begin at 7 p.m.